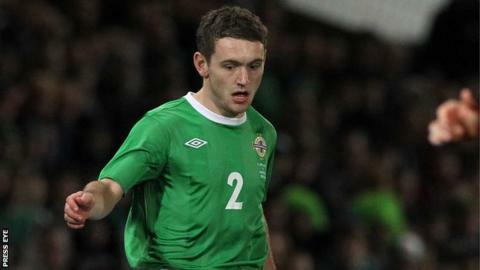 Lee Hodson has been added to the Northern Ireland squad by manager Michael O'Neill for next week's friendly against Malta in Valletta. The 21-year-old Watford defender, who is currently on loan at Brentford, won his first cap against Morocco in November 2010. He has gone on to earn eight further caps and his last appearance was in the friendly against Finland last August. Hodson moved to League One outfit Brentford in a loan deal in November. The international friendly takes place on Wednesday evening at the Ta'Qali National Stadium.